Your success today is predicated on one critical factor. How The Real Estate Business evolves with constant change of human behavior and online expectations of the consumer. Are you in the game or watching from the sidelines? The Problem: Online marketing consists of many different levels of expertise and the increased business can take a while to occur. In an era where time and money are in short supply, the idea of hiring an employee with the expertise needed while waiting for results is enough to keep most brokers on the sideline. 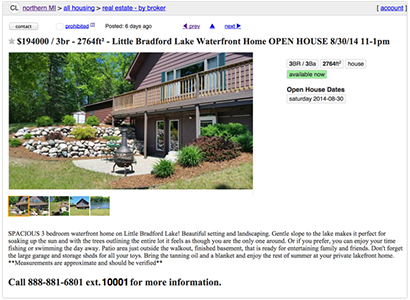 Where should my listings be posted? What exactly should I post and what kind of functionality is necessary? How do I get it there? There are dozens of websites being used today by Online buyers and sellers. How do you decide where to spend your time and money? 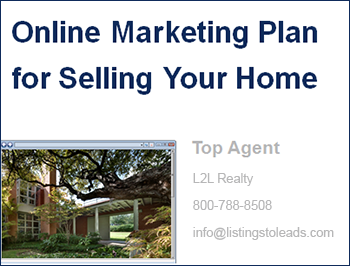 All of your listings posted on the right websites following best practices for online marketing and lead generation. Provide information and guidance in choosing which paid programs are most beneficial for you and your clients. Ongoing training to maximize participation on the right websites and maximization of lead generation. At Listings-to-Leads, our competitive advantage is the leadership of real estate and technology executives with results-proven track records from a "down in the trenches" perspective. Scott Pierce A former technology insider working with clients to incorporate Internet content distribution for client facing web-based applications, Scott has worked with most major Silicon Valley firms including Oracle, Cisco Systems, Intel, Apple Computer, Applied Materials and more. Scott Pierce graduated with a Masters degree in marketing from Thunderbird – The American Graduate School of International. Scott developed and has successfully implemented the listings-to-Leads (L2L) strategies and tactics at leading real estate brokerages across the United States. Vincent Meza, Vice-President of Sales,Vincent heads up our sales program focusing on our brokerage clients. He comes to us from Dow Jones where he was Director of US & European Venture Capital and Private Equity Sales. He also worked in Business Development in the same division developing emerging Markets. Prior to that he worked in Autodesk's finance division and also with Morgan Stanley in California.